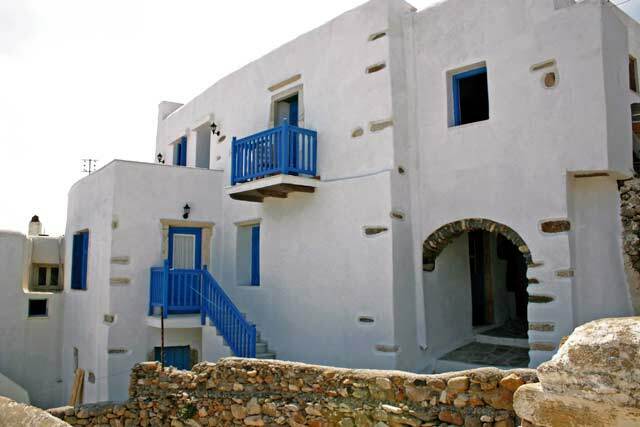 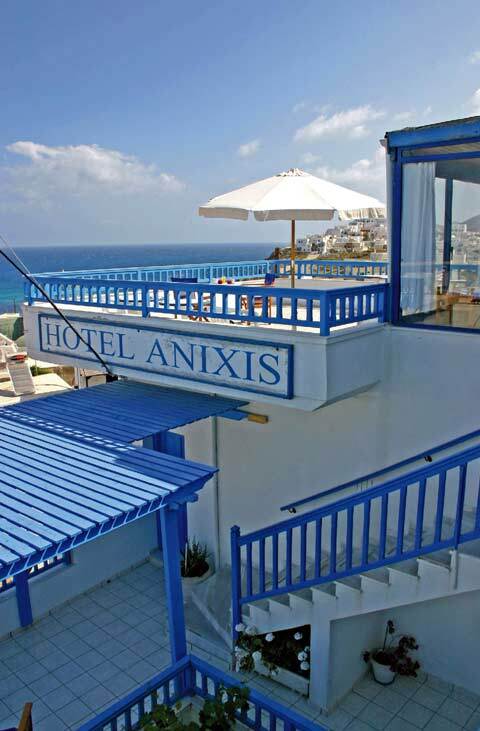 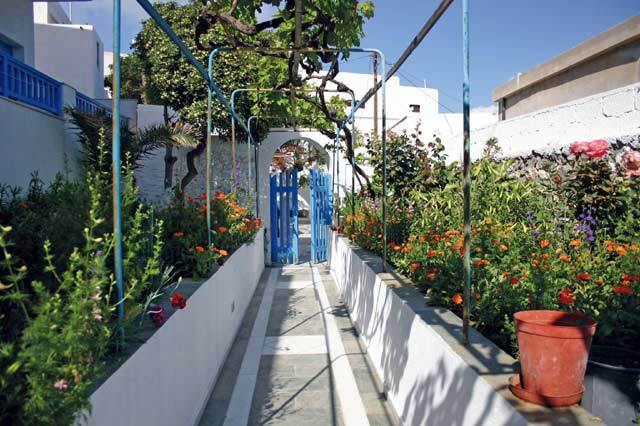 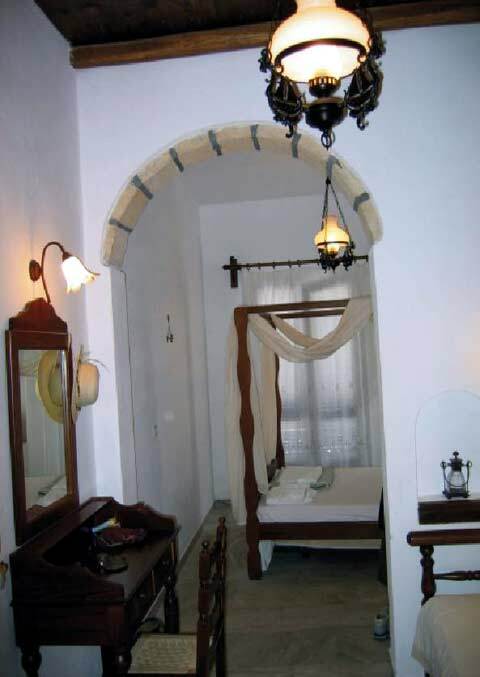 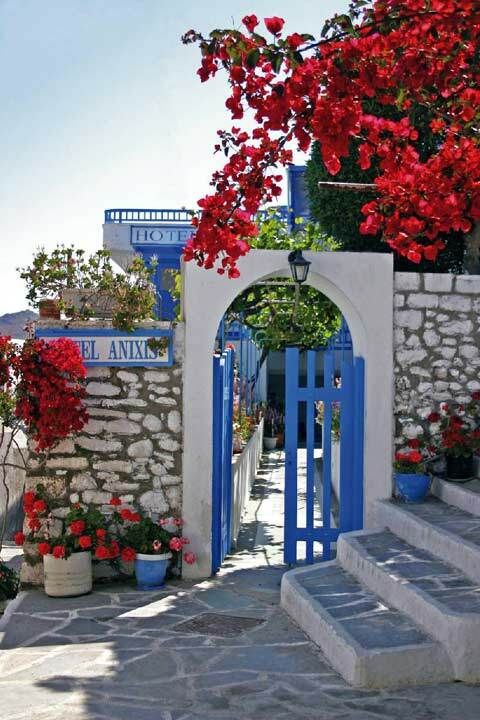 In the heart of the old town of Naxos, right next to the Castle, where cars and scooters are banned, and just 200 meters from the port, our family hotel is the ideal place to stay. 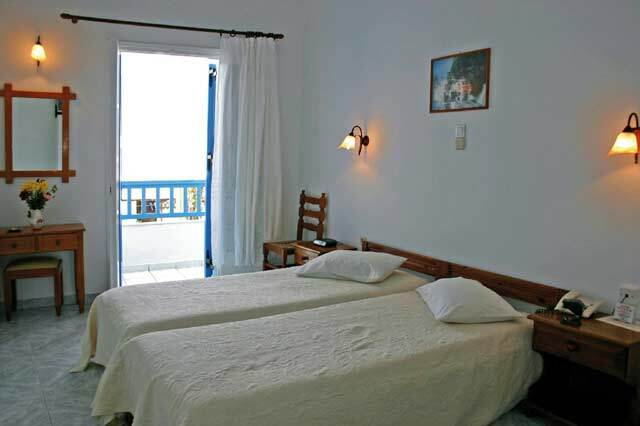 It has 18 rooms, each with its own bathroom and veranda or balcony with sea view. 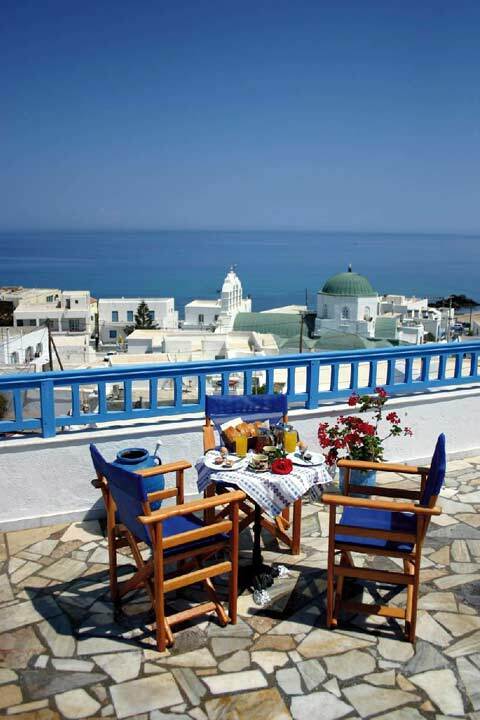 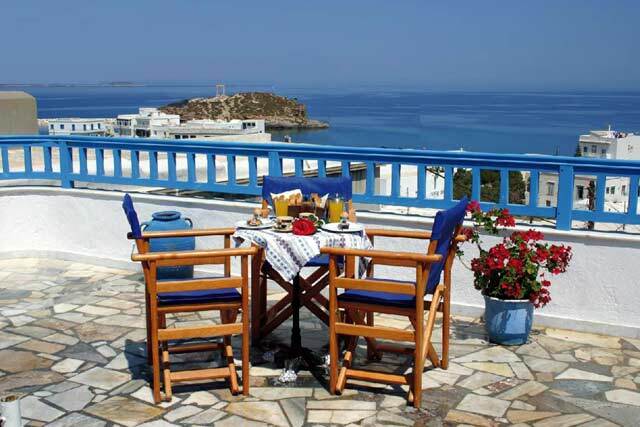 In our garden or in the roof garden, with marvelous view of the sea, you can enjoy your breakfast or a drink. 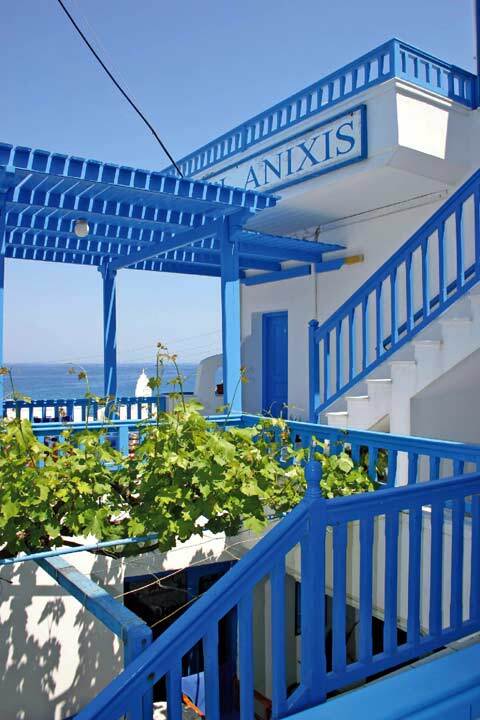 In our reception you will find TV, as well as telephone and fax for your long-distance communications, and always someone to attend to your needs with a friendly smile.